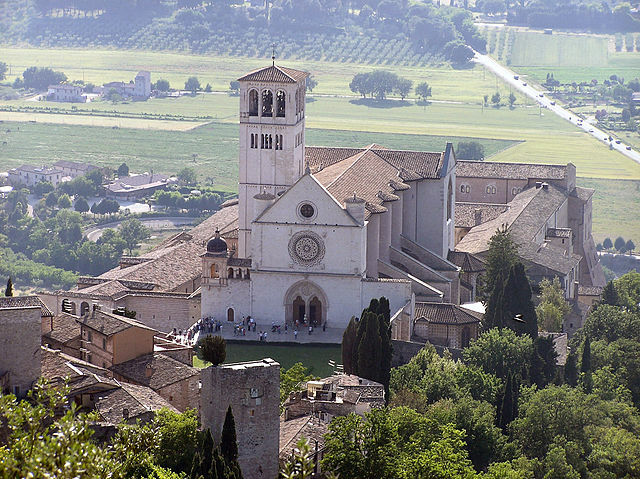 Construction on the Basilica Church of Saint Francis of Assisi began soon after the canonization of Saint Francis, about two years after his death. It has since served as a major pilgrimage destination for those wishing to venerate the the saint whose work not only started the mendicant Franciscan order, but recast religious experience in a manner that deeply rooted religious experience as both personal and grounded in lived experience, especially experience with nature. It remains the center of the Franciscan order, and served as a locus of 14th century Italian artistic production.